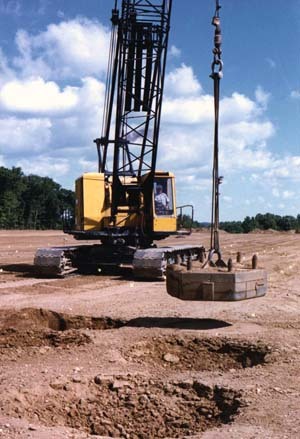 TerraSystems owns approximately 20 dynamic compaction tampers. The tampers range from about 6 to 20 tons, and are all constructed of steel. 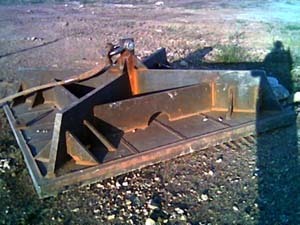 Generally speaking, the heavier weights are used where deeper compaction is required. We also own several tampers specifically designed for near-surface compaction, often called “ironing.” Because their static contract pressure is on the order of 500 psf or less, these weights compact the near-surface soils effectively, without significant penetration. At the other end of the spectrum are our Driven Terrapier tampers. 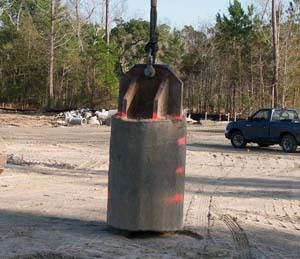 These tampers are designed with a very high contact pressure in order to drive columns of stone deep into the subsurface.